Baker cuts down damaged trees. 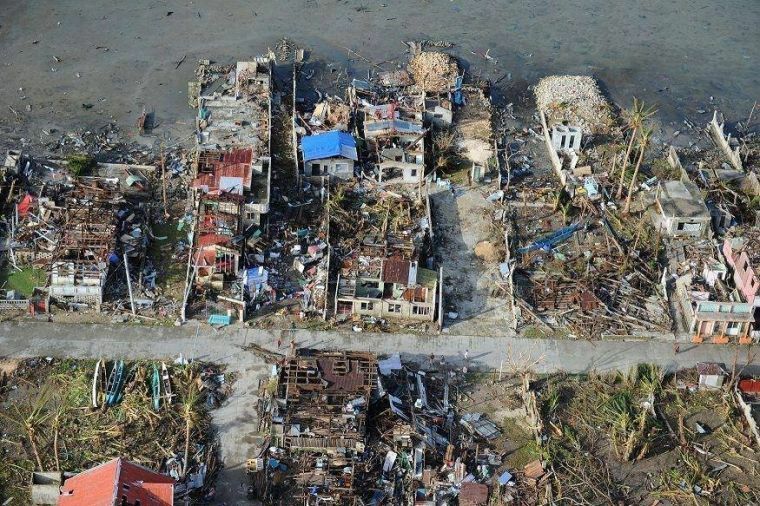 LEWISTON – When Joseph Baker witnessed the typhoon that hit the Philippines back in November, he had no idea he was experiencing the biggest storm ever recorded to hit the earth. In fact, Baker, who at the time was serving a mission for the LDS Church, went outside to take photos of the passing storm. “The thing I felt was just a calm peace. My companion and I weren’t worried,” said the Lewiston, Utah native. At 4 pm that day, once the storm died down, Baker and his companion, Preston Hughes of West Valley City, headed outside to observe the damage that had been done. The following day, they spent time cleaning up the yards and damaged homes of their investigators. That Sunday, Baker said they held sacrament meeting in a partially destroyed home using crackers and one cup of water. Meanwhile, back at home in Utah, Baker’s family had no idea if he was even still alive. During the first hour of the typhoon, all phone signal was lost, making it impossible for Baker and his companion to make or receive calls. So Monica started using social media to try and find her son. She was able to discover who his companion was and where they were located. Then she had to wait. Days later, when she finally made contact with her son, she said the relief she felt was indescribable. Baker returned home to Lewiston, Utah on November 17, but his heart and thoughts were still in the Philippines where the death toll was rising. Baker didn’t forget, and that’s why he spent the next few weeks after his mission raising funds so he could return to the Philippines. Within just a week, Baker said he almost had $3,000 for his trip. 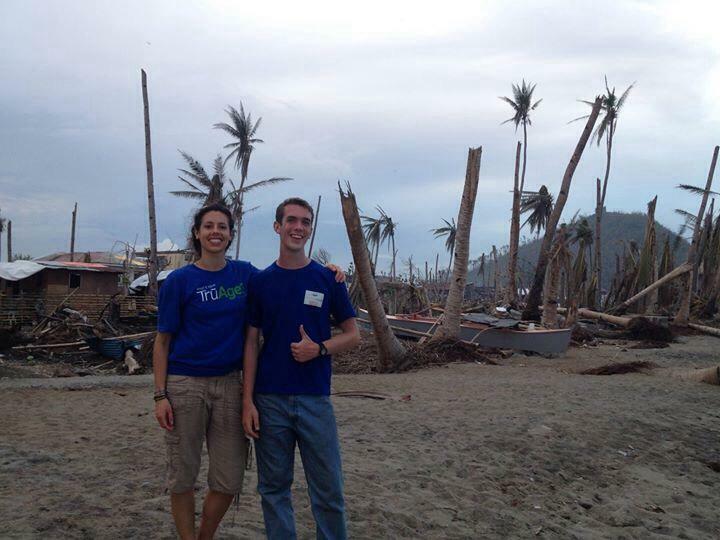 Baker returned to the Philippines for a humanitarian trip from December 6-27 with Charity Vision. Baker said it was good to return and help out. He already wants to go back again on a second humanitarian trip. Baker and his mother encourage community members to make donations to reputable organizations that will help deliver supplies, fresh water and food to the Philippines. Every dollar helps. Baker gathers with a group of children. 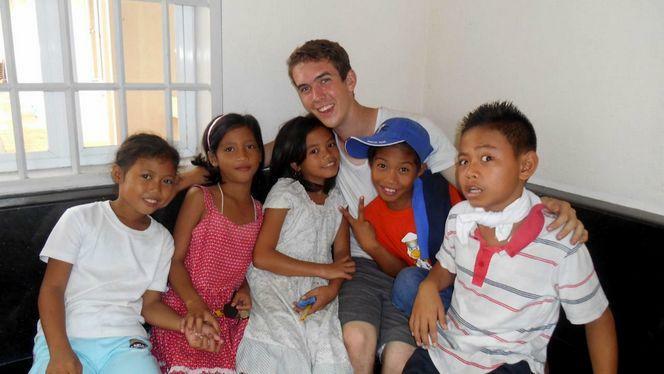 Baker returned to the Philippines with Charity Vision.